There are currently 31,319 users on this website. How Do I Clean These ? I came into some coins that are in need of some cleaning. Not sure how best to do it. Many of the coins I came across resemble the six below. 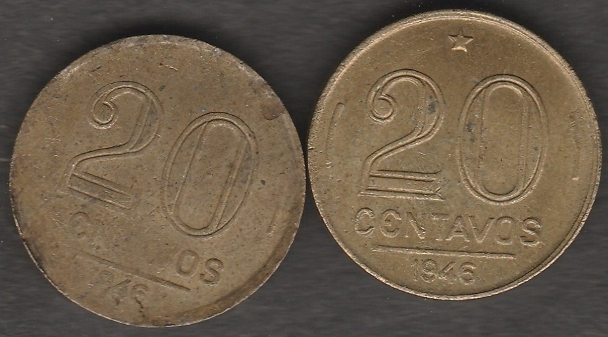 I know that coins should not be cleaned but I can't store them in this condition. Are any valuable ? I can't say for sure, probably not after all the green crap is cleaned off. The safe way to clean these without harm I know of is a 100% pure Acetone soak and Verdi-Care. Can I soak many of them together at the same time in the same container? Or should I separate the copper and silver and nickel into separate containers? can I store these coins with my other existing coins in the same container or is the green still contagious? I usually soak them for four hours or more. I would separate the coins, so they don't end up getting gunk from other coins. It won't take the green off, but it will take any dirt, crud, or verdigris off. You probably would want to use Verdi-Care for the green stuff. Test on one coin first and if you get the intended results, do the rest. One problem I experience often enough is that the dirt layer is actually hiding a lot of stuff. You may not like what you see underneath. Whatever you do, don't scrub that coin with anything as you'll see those scrub scratches. You may not see scratches with your eye but once looked at under 5x magnification, you'll hate the end result. If you put in acetone, be sure to remove before it evaporates because the junk will redeposit. I would think 20 minutes would be adequate. Why not try mild soap and water first? I too suggest some distilled water first.